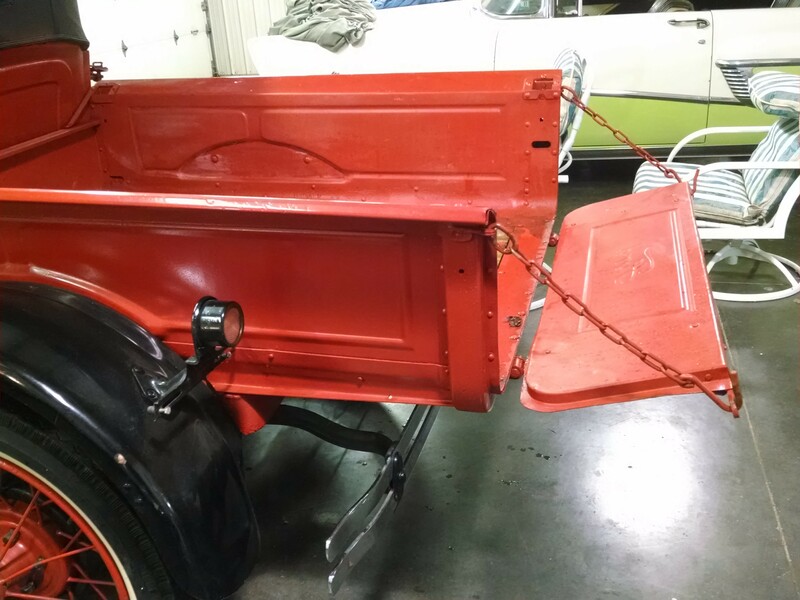 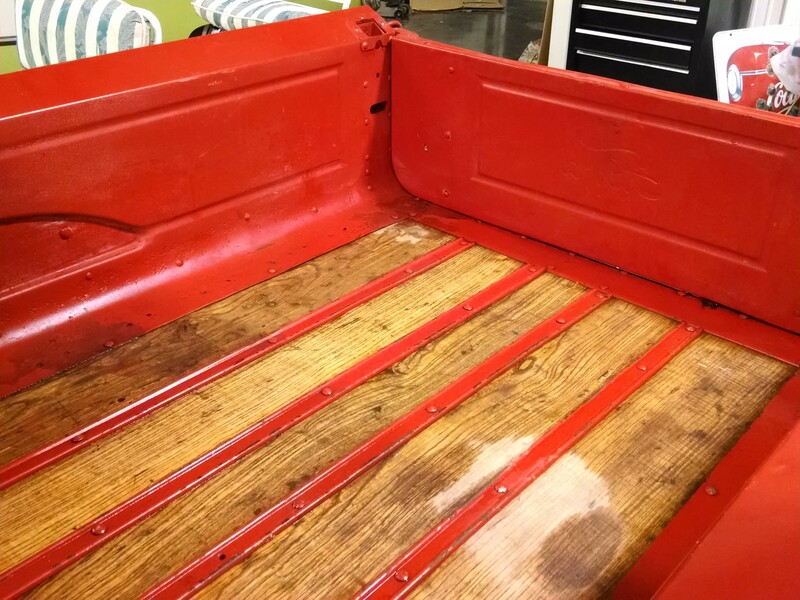 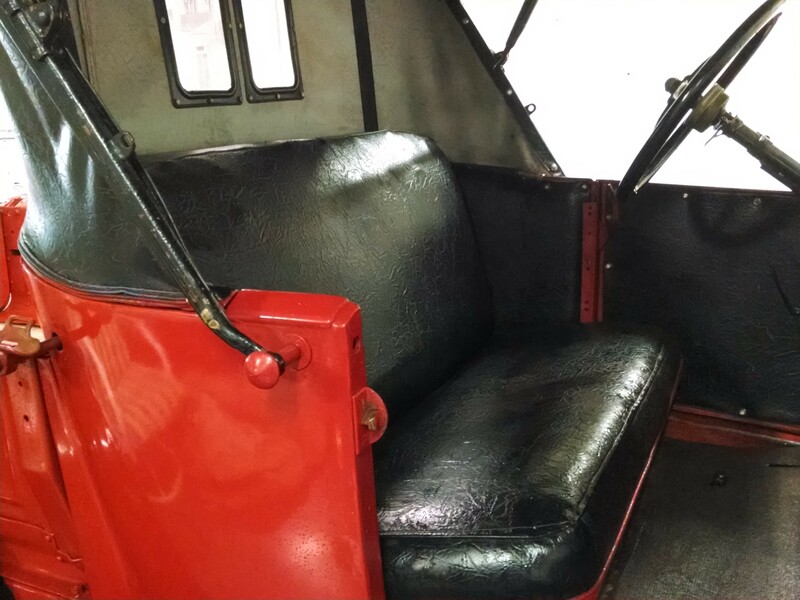 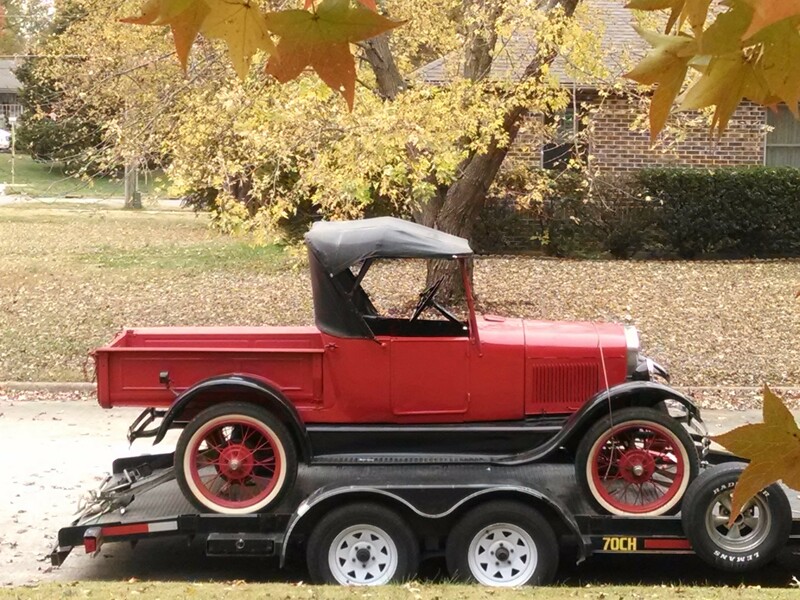 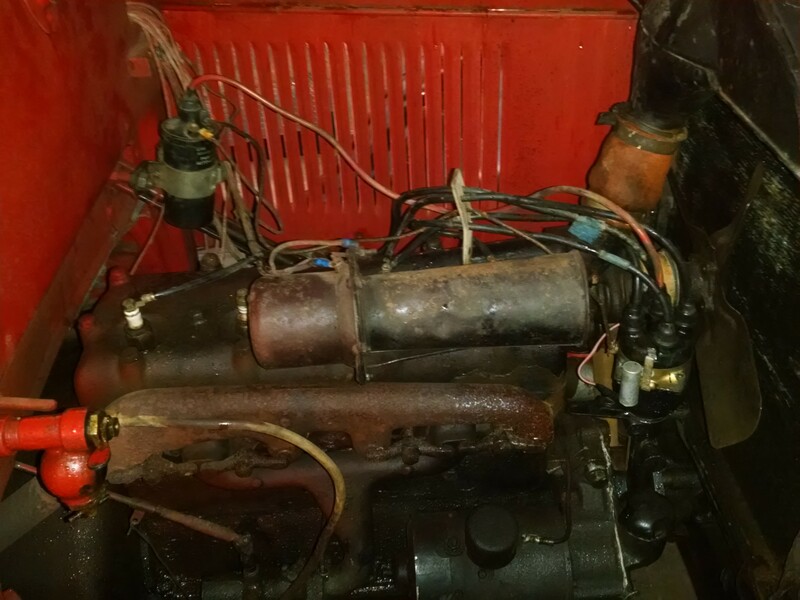 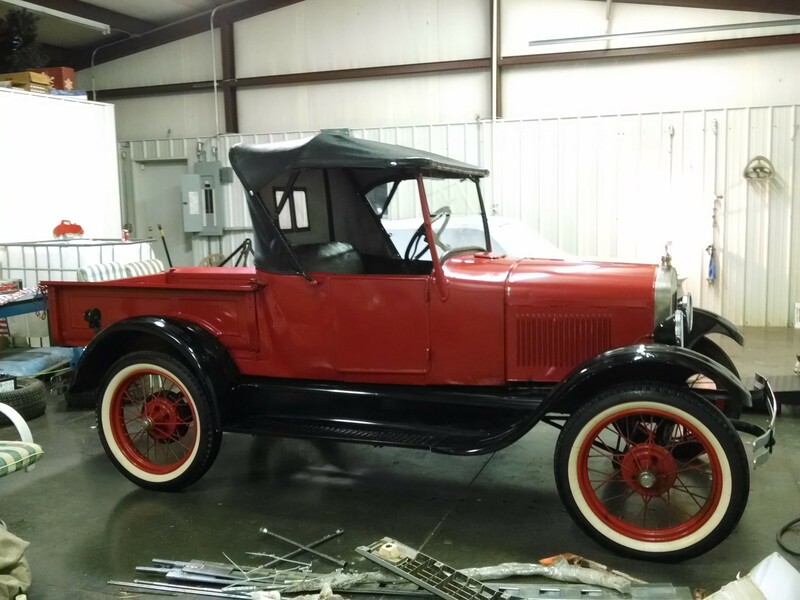 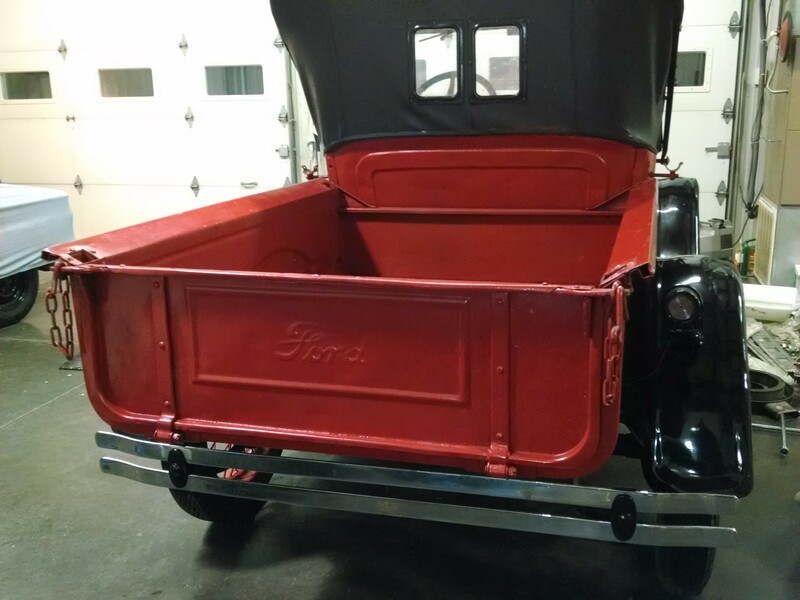 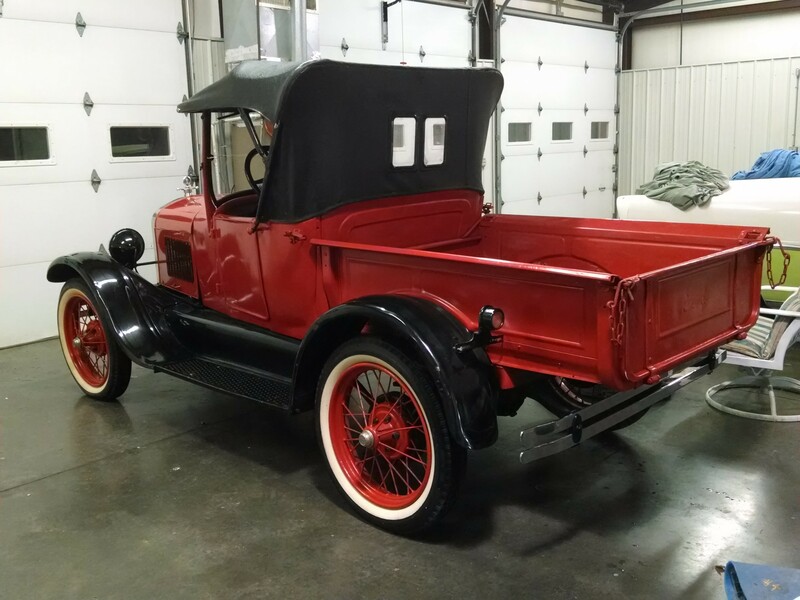 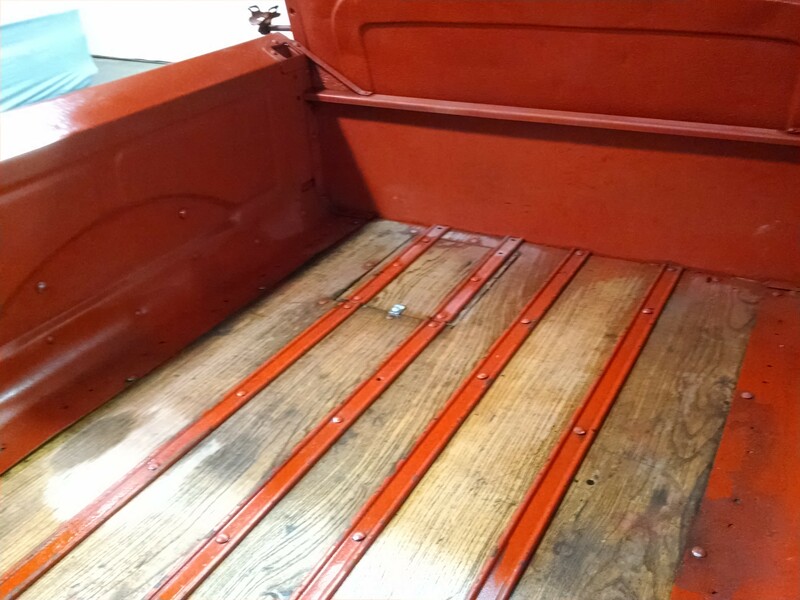 1927 Ford Model T Pickup Roadster---RUNS & DRIVES----Bright red body with black fenders. 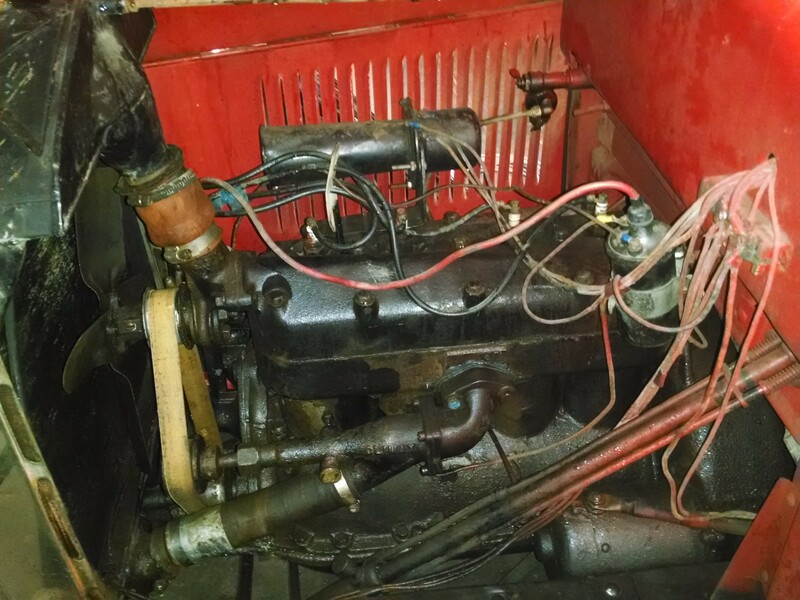 Date coded Original or Original style engine--- I will find & check the frame number as soon as possible to see if it matches the engine sequence number. 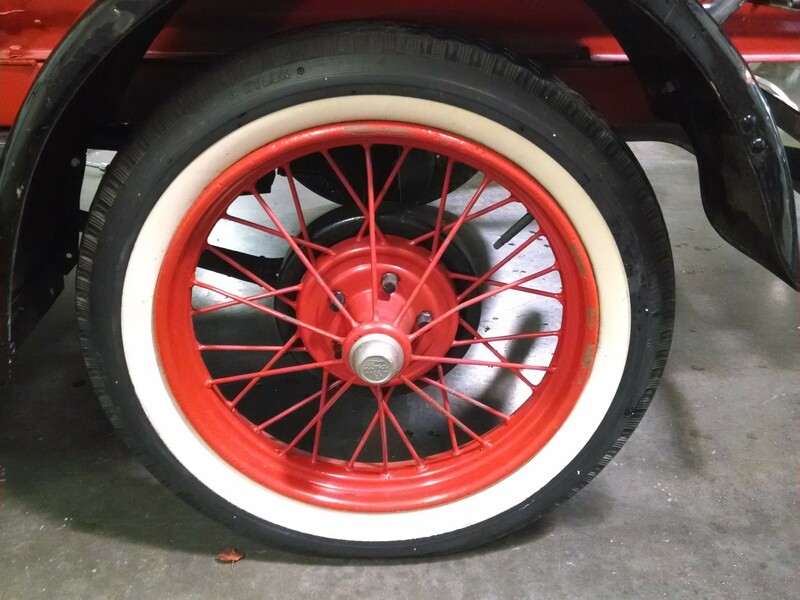 Great frame and suspension and the wire wheels are in great condition as are the 21 inch white wall tires that are mounted at all four corners. 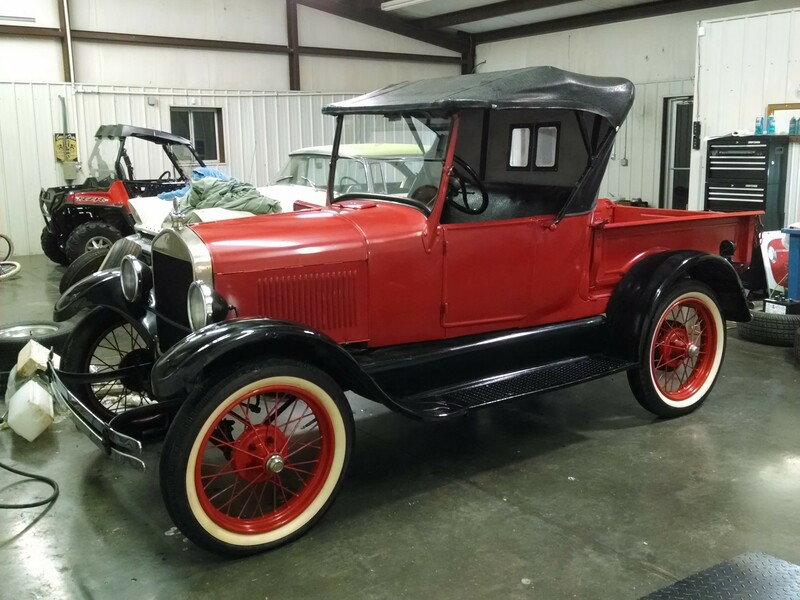 Like new black roadster/convertible top (cloth backed vinyl) with two original style rectangular shaped windows in the rear. 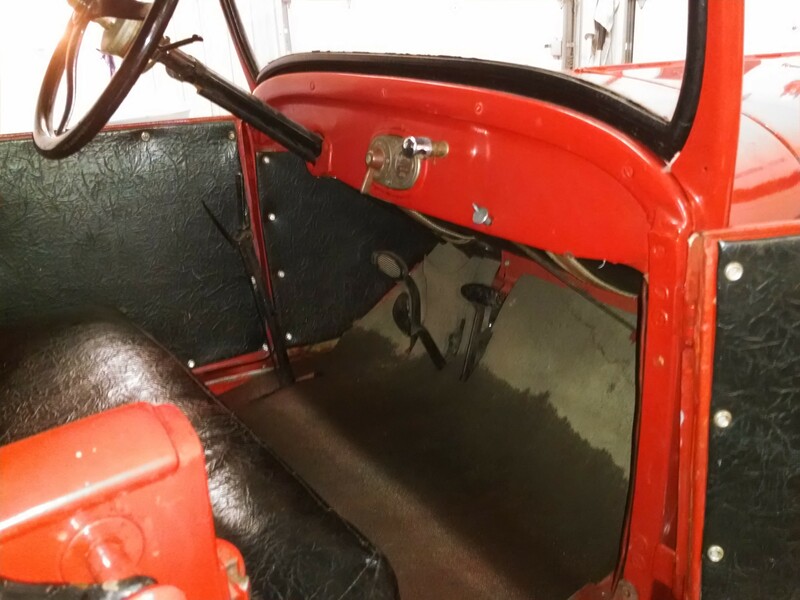 The original style double stacked windshields are both in great shape and they both tilt in/out. 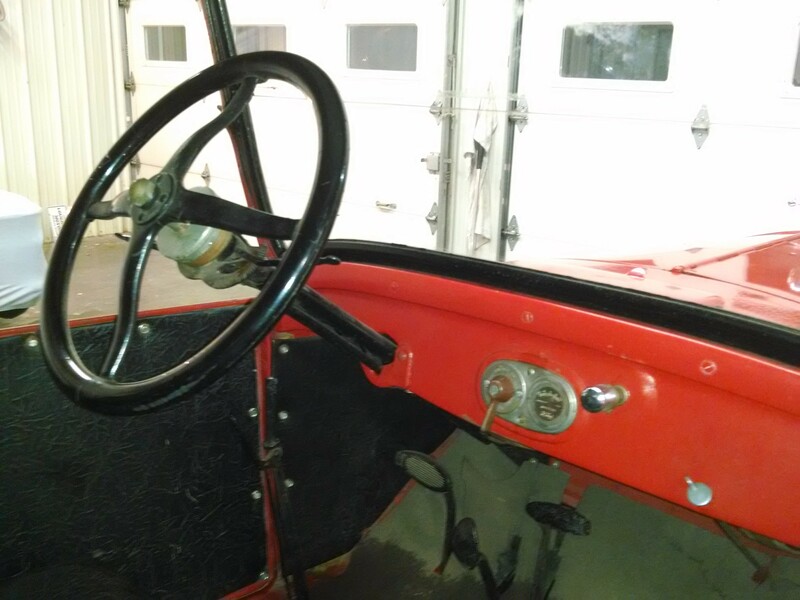 The Roadster still operates on a 6-volt system and it now uses a modern distributor to deliver the voltage to each spark plug. 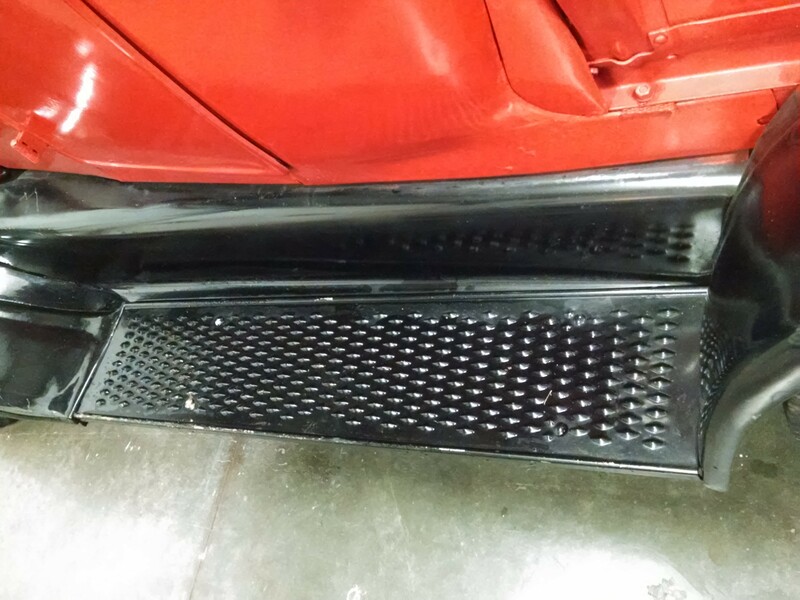 The headlights work as do the taillights. 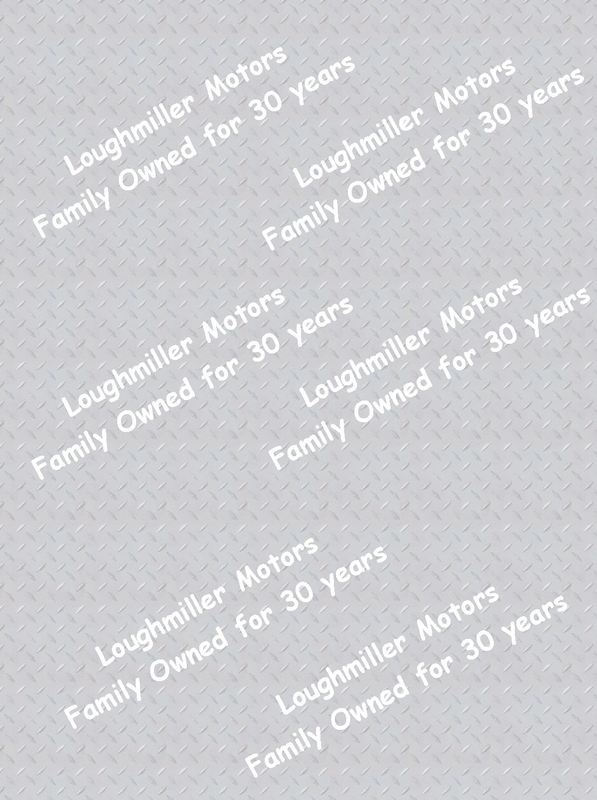 The single windshield wiper works as long as your arm is able to provide the back & forth power to the wiper mechanism. 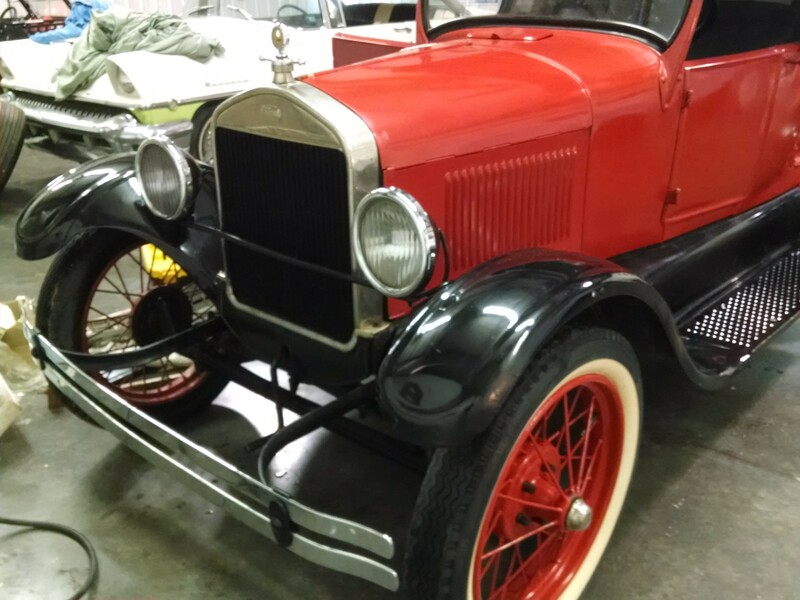 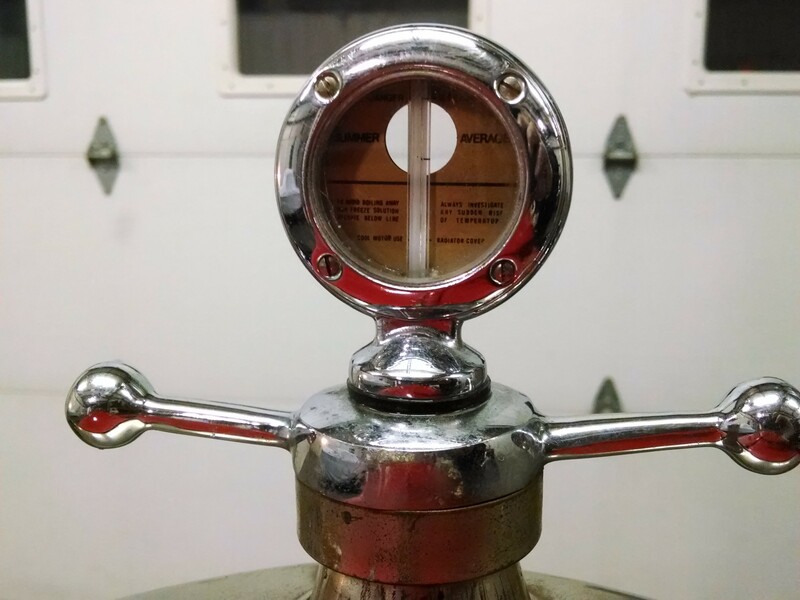 The polished radiator shell is original and the chrome plated brass radiator cap with built-in thermometer is in excellent condition.